Indian telecom industry is one of the fastest growing in the world. Over the past decade the telecom sector has experienced rapid growth owing to regulatory liberalization, making telecom as one of the major catalysts in India’s growth story. The most recent news is that this sector will give rise to 40 lakh jobs in the coming five years. This is a reason to cheer for many professionals aspiring to pursue their career in this industry. According to the estimates of the consulting firm, Randstad India, the sector is going to be responsible for generation of 40 lakh direct and indirect jobs over the next 5 years. This is owing to the government’s efforts to increase penetration in rural areas along with the growth in the smartphone numbers and internet usage. “The telecom sector has been growing aggressive at an average for 35 per cent a year for close to two decades. Though the boom period of this sector is over, it continues to be a large job creator,” Randstad India CEO K Uppaluri said. The sheer rate at which Indian Telecom Industry is growing can be attributed to growing smartphone usage and broadband penetration. As per the report released by GSMA, prepared in collaboration with BCG, the Indian mobile economy is growing rapidly and will contribute approximately $400 Billion to India’s GDP. More importantly the industry will generate 4.1 million job opportunities. This is a major reason behind the positive sentiments surrounding the telecom industry. As per the component manufacturer TE connectivity, Telecom sector has proved to be one of the largest employers in the last decade and would need an additional 2.75 lakh employees by 2015. According to K.K Shetty, TE Connectivity India & SAARC Network Solutions director, “The challenge will be to get the right talent”. UNCTAD has revealed a direct relation between growth in GDP of developing countries and the growth in the mobile density. The past few years have witnessed an increase in share of telecom services industry in the total GDP. The sector gives employment to over 400,000 employees and a majority of them are from the government sector. Telecom has also been crucial in attracting large amount of FDI in India. The sector alone is responsible for more than 10% FDI flows in the country. As per the figures put out by DIPP, the cumulative FDI inflow during August 1991 to June 2009 has been US$113 billion. India’s status as a IT powerhouse is revered throughout the world. However, if it was not for the growing telecom sector, India’s IT prowess wouldn’t have been able to get this far. The IT sector flourishes on the strong telecom network and that’s how it also allows current generation telecommunications to use the latest IT-software. 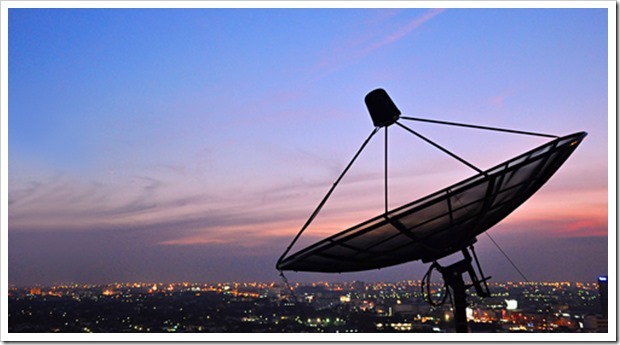 The 2020 vision of India’s development is incomplete and impossible without telecom sector’s expansion and growth. Although the competition is cut-throat, with a potential user base of 1 billion people, the telecom players have a positive future to look forward to. This also means good time for jobseekers as the number of telecom jobs are going to exponentially increase in the coming years. "Indian Telecom Industry Will Create 40 Lakh New Jobs In 5 Years", 5 out of 5 based on 1 ratings.